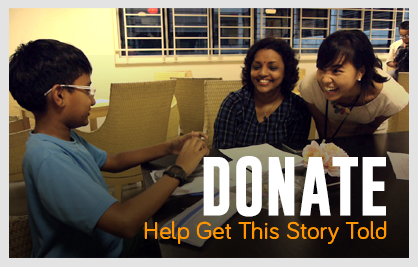 Yong Shu Ling is a Singaporean documentary filmmaker with a passion for social change. She has worked with award-winning Chicago documentary production company Kartemquin Films (Hoop Dreams, The Interrupters) for over 6 years. She has worked on feature-length documentary films like Radical Grace (2015, dir. Rebecca Parrish), In The Game (2015, dir. Maria Finitzo), The Feeling of Being Watched (dir. Assia Boundaoui), and America To Me (dir. Steve James). In 2015, Shuling, together with Lisa Teh, co-directed Growing Roots, which premiered on the Discovery Channel. She has produced and directed over 7 short documentaries. Her films have tackled a variety of subjects, from the community integration of people with disabilities, to youth involvement in global health issues. Shuling is a 2013 fellow of Diverse Voices in Docs, a prestigious 6-month professional development and mentoring program in Chicago for emerging documentary filmmakers of color, and a participating filmmaker at the 2017 BRITDOC Queer Impact Producers Lab, DocNet SouthEast Asia’s A for Asia 2014 strategy workshop and the 2016 Video for Change Forum. As an MDA Media Education Scheme (MES) and Ngee Ann Kongsi Scholar, Shu Ling attended Northwestern University to obtain her BA in Radio/Television/Film. While studying, she founded Media For Social Change, a social enterprise dedicated to fostering positive community impact through video and audio storytelling. Shu Ling also speaks regularly about documentary filmmaking. Her past speaking engagements include the ContentAsia Summit, Big Sky Documentary Film Festival, Chicago Documentary Summit, Chicago Filmmakers and Tribeca Flashpoint Academy. She has been on the film jury of the Talking Pictures Festival, and also produces the Reel Impact Podcast. Lisa Teh can be best described as a cup of Yuan Yang (coffee-tea drink mixture). Armed with a love for storytelling, and the training of a creative producer, she comes packaged with both the creative and business aspects of filmmaking. Lisa produced her first television documentary, Growing Roots, which premiered on Discovery Channel in July 2015. The documentary explores the urban farming subculture in Singapore and the technology used to make fertile concrete in a land-scare island. Growing Roots had its North America premiere at the Environmental Film Festival in Washington D.C.
Lisa is a graduate from the pioneer batch of Creative Producers from Chapman University Singapore. She spent an entire summer in the heart of the Hollywood studio system, interning at The Jim Henson Company, on the popular pre-school television series, Dinosaur Train, as well as the video department at The Hollywood Reporter. Lisa is a recipient of the MDA META scheme, which made her journey to Hollywood possible. She also received a Ngee Ann Polytechnic Foreign-Specialized Institution Scholarship, which helped fund part of her studies at Chapman. With more than 6 years of media advertising experience, Lisa is well versed in Singapore’s media landscape, working across accounts from various industries. Her in-depth knowledge of the local media landscape and experience of planning and implementing award-winning ad campaigns, allow her to effectively execute strategic marketing plans and audience engagement for films. Pin Pin’s films, explorations of Singapore, her histories, contexts and limits have found loyal followers in different contexts. They have screened at notable festivals like Berlin, Pusan, Cinema du Reel, Visions du Reel, Rotterdam and at the Flaherty Seminar. They have also screened internationally on Discovery Channel. She has won or been nominated for more than 20 awards, most recently for To Singapore, with Love at the Dubai International Film Festival. Previously, Invisible City won at Cinema du Réel. Singapore GaGa was voted Best Film 2006 by Singapore’s The Straits Times. Her short film Pineapple Town was one of seven in the acclaimed omnibus film 7 Letters that was Singapore’s submission to the Oscars. Pin Pin is releasing her fourth long documentary, IN TIME TO COME, in 2017. She is also on the “Asian Cinema 100” list of top 100 Directors compiled by Busan International Film Festival and Busan Film Center. Violet Du Feng is an Emmy Award winning documentary film producer. Her films have screened at numerous film festivals internationally. In 2007, she co-produced Nanking, which received a Peabody Award and a Sundance Grand Jury Award. It was the highest grossing documentary in China. From 2011 to 2013, Violet joined CNEX in Beijing. As the in-house producer, the films she produced received support from Sundance Documentary Fund, Ford Foundation, ITVS and co-productions from Asia and Europe. She produced Please Remember Me, which premiered at IDFA in 2015 and received three awards at China’s biggest documentary film festival GZDoc in 2016. Violet also produced Maine-Land, a multi-layered coming-of-age tale that follows two affluent and cosmopolitan teenagers as they attend boarding school in the U.S. The film received Special Jury Award of SXSW in 2017. She is the Executive Producer of 24th Street, nominated for Best Feature Length Documentary of IDFA 2017. Her first documentary short Changing the Taste of Mud was nominated for the Golden Gate Award. Violet received a M.A. from UC Berkeley’s Graduate School of Journalism. She was also a broadcast journalist for Shanghai Television and later for the BBC’s Shanghai Bureau. Born in Singapore, Mirabelle Ang’s early encounters with cinema introduced her to a larger world beyond her own and led her into the realms of storytelling. Her curiosity and concern for people and societies continue to be the center of her works, aiming to prompt further discourse about how modern societies function in the face of global trends and challenges. Through filmmaking, she hopes to build a deeper understanding for humanity and to encourage greater empathy across cultures. Mirabelle received her MFA from California Institute of the Arts and has worked on numerous award-winning broadcast and theatrical documentaries. Her feature documentary, Match Made, has screened at international film festivals and museums such as the Viennale, Cinema du Reel, Mar del Plata, Full Frame and the Museum of Modern Art (MoMA). Daniel Moretti is Senior Manager, Engagement & Impact at ITVS. He manages the national program Indie Lens Pop-Up, which brings screenings and conversations about PBS’s Independent Lens documentaries to over 75 communities across the US. Prior to joining ITVS, he worked in both media production and community engagement in diverse locations including San Francisco, Los Angeles, the Philippines, and London. Daniel previously worked with Active Voice, and contributed to the development, implementation, and evaluation of film-based campaigns that engaged audiences in social issues. He also worked with the Global Film Initiative, where he supported acquisition, distribution, and education programs for their world cinema series to promote cross-cultural understanding through film. Daniel holds an M.Sc. in Gender, Media, and Culture from the London School of Economics and a B.A. in Television/Video Production from Emerson College. Rebekah Lin is the Co-Founder of The Social Co., a youth-led organization that aims to activate youths and businesses to leverage on their skills to give back to lesser-known charities in Singapore. Their first movement, 50 For 50, raised $4.5 million and heaps of awareness for more than 50 charities. Rebekah is also the Co-Founder of Chloros Solutions, a SPRING-seeded green consultancy boutique firm that provides a complete suite of solutions for Environmental Sustainability Design (ESD), energy consultancy and project implementation management services. To date, the company has been involved in over 150 projects of varying sizes. The company completed its Series A fundraising in 2014. She has been on the committee of the Yellow Ribbon Fund since 2011 and recently joined the Community Chest of Singapore as a main committee member. Cheryl is co-founder of The Social Co., the team that initiated the 50 For 50 project in September 2014 where they brought together more than 80 young people under the age of 35, and 70 corporations to raise awareness of and funds for lesser-known causes such as mental health, suicide prevention and charities that serve those with physical and mental disabilities. Over 2 phases of the 50 For 50 movement, 38 sustainable projects were created and a total of S$4.5 million was raised for 58 local charities. As they roll out a series of new initiatives, one of the projects that The Social Co. is currently working on is The Social Pantry, where they partner Samsui Supplies & Services in providing meaningful employment for beneficiaries at the Association for Persons with Special Needs (APSN), by reaching out to companies to regularly order their office pantry supplies from thesocialpantry.com. Cheryl currently also chairs the Young Women’s Leadership Connection (YWLC), a local platform connecting young women leaders with opportunities in mentorship and leadership development, networking and community engagement. She initiated its flagship community project 100 Wishes, a workshop and activity series to improve the well-being of women and children at local women’s shelters. A creative thinker and doer, Samantha worked as an advertising strategist in London and Singapore before seeking out a world of change and meaning in the nonprofit sector. She is obsessed with using creativity for good and has worked on change campaigns for both the private and nonprofit sectors for organisations like IKEA, Unilever and Refuge UK. Samantha volunteers with TWC2, a migrant workers rights group in Singapore, and Human Library, a global movement that challenges stereotypes and prejudices through dialogue. The causes she is most passionate about are human rights, social justice and environmental sustainability. Samantha played a vital role in forming a network of collaborators for the film’s impact campaign. Media For Social Change dedicates its existence to making the world a better place through the power of film, video, audio and the web. Its work includes the Discovery Channel documentary Growing Roots, the feature-length documentary film-in-progress Intuition, and over 150 video projects for various non-profit organizations and socially conscious businesses. Media For Social Change also produces the Reel Impact Podcast – an audio-on-demand show dedicated to uncovering and building case studies out of the best examples of films and videos that have impacted communities around the world. Jia Foundation (家基金会) was established in 2013 and is particularly interested in projects that support education (youths), healthcare (mental health) and the arts (documentaries). Jia Foundation has started new projects in Siem Reap, Cambodia and would be interested to collaborate on new opportunities as well. Intuitive Films is a team of interdisciplinary creatives working together to bring fresh ideas to screens. For over 7 years, the Singapore-based production house that has created TV commercials (TVCs), documentaries, corporate videos and films for delivery across multiple platforms, from social media/web to broadcast channels. Want to learn more about the progress of Intuition? 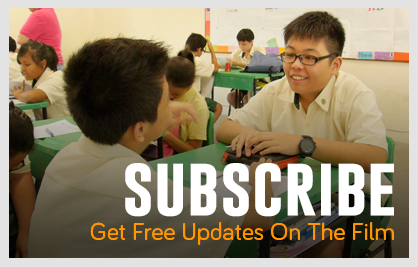 Subscribe to receive free updates here.